The Historical Sew Monthly 2018 – it’s on! As you may have noticed, the Historical Sew Monthly 2018 is on – all the details and challenges are up. (so big even the other moderators don’t know about it). In my mind it wasn’t going to happen. Participation has dropped a bit, it’s been going for five years (seriously y’all, FIVE YEARS!). I figured five years was enough. We’d had a good run, we’d made some amazing things, and it was time to say goodbye. All I had to do was vote on my favourite challenges in the poll, and write the HSM 2018 page. So I couldn’t pull the plug at that point! 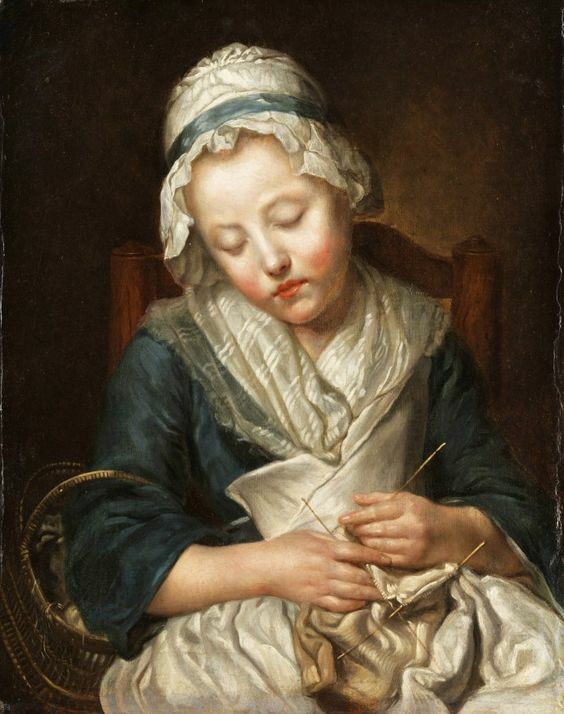 Without them, the Historical Sew Monthly would be dead in the water – both in 2017 and 2018. They are an amazing group of people, and do so much to keep the HSM running, interesting, and cordial. And here’s to all you participants! You’ve made the whole journey (all five years of it!) such a joy. 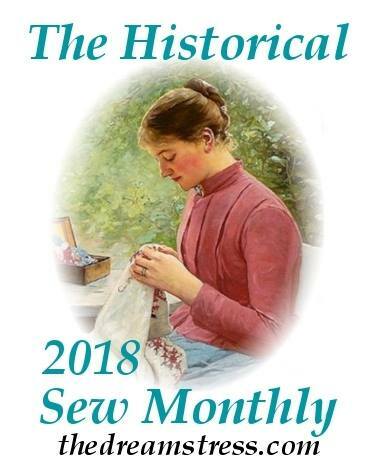 Here’s to the Historical Sew Monthly 2018! Here’s to a sixth year that is the best yet! I’m one of those who dropped off this year, I only finished the first challenge, and then I simply didn’t have much inspiration for historical things. This year I am planning a big historical project and with that my goal is to finish at least 6 of the HSM challenges as well. I don’t want to put too much pressure on myself by saying that I’m going to do all 12 but a little pressure is good to get things done. Sounds exciting! Great to have you back, and hope you do have lots of inspiration this year: you create the most beautiful things! I’m also one of the drop-outs as I didn’t finish a single challenge… But the change from student life to being a proper working adult has hit me hard this year as did the creative crisis I had (making too much things because I had to do them was what killed me I think). Mix it with few significant personal problems… And here we were. I feel much better this time and I’m once again excited to get to work on the pieces I want to do. So, hopefully, I will manage to do all of them this year 🙂 All the best from Poland! I’m one of the irregular HSM’ers, and I’m delighted that the HSM continues after all. I’ve got plans for about half this year’s challenges, though I’ll likely do less as CFS tends to throw a spanner in the works. HSM is a great motivator, thank you and thanks to all the moderators for doing 2018 too! 2017 was difficult for so many of us. I was often just too sad to do much of anything–let alone be creative. So 3 cheers for 2018 and some hope and some art-making! Thank you, Leimomi, Bránn, Elisa, Klára, Kura, Ninka, and Hana! I don’t participate often enough, but HSM gives me so much inspiration and I love seeing what people make. It is extremely valuable to me and I’m glad you were able to keep it going. It was really exciting seeing all of the challenges being brainstormed on the page – and awesome to hear that the moderators picked it up and ran with it (and so quickly too). I’m certainly glad to see the challenges continue – they inspire me a lot!